Do you have a burst pipe or need a boiler repaired urgently call plumber Killiney. Our staff specialize in domestic plumbing and residential works in Killiney and the surrounding areas of the south side of Dublin. Our team of Killiney Plumbers are always on call. We operate 24/7-365 for all emergencies and standard plumbing services. We guarantee that we can be with you in under 60 minutes for any unexpected plumbing issues you may have. Just call us. 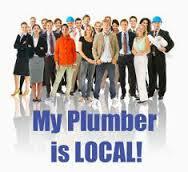 About your team at Plumber Killiney. We have built our reputation on customer satisfaction. Our staff have expert plumbing knowledge and vast experience. Some senior staff have in excess of 30 years in the plumbing industry. This vast experience within the company has been a vital part of our success over the years. We are able to complete any job large or small to the very highest standards. Our regular customers know that when we start a plumbing job they are assured of an excellent end result. All of the plumber Killiney team are R.G.I. registered gas safe engineers as well as being fully qualified plumbers. This means our clients never need to worry. They can always sleep soundly knowing that they are in very safe hands. We are covered by comprehensive public and professional liability insurance and all of our work is fully guaranteed. · Water pumps repaired and replaced. · Central heating system installations. · Boilers repair and replacement. · A rapid response 24 Hour emergency plumbers Killiney call out service. · Unblocking drains, sinks and toilets. We have a full range of equipment including drain rods, jet flushing and plumbers snakes. · Full bathroom renovations. We install baths, showers, sinks, bidets, taps, wet rooms and toilets. We have expert tilers and floor layers at hand. We pride ourselves in the way we operate our business. Our company uses an open and honest approach with up front pricing. Unlike some companies we don’t have hidden charges. We don’t charge for traveling time or time for getting parts. We tender a quote and stick to it. We know how competitive our prices are. This means there aren’t any shocks when the bill arrives. We only ever require payment on completion of the work when the customer is fully satisfied. Using this approach has been the foundations upon which our great reputation has been built. Our team do not charge for call outs. We will happily come out to your property to give free unbiased advice and professional no obligation quote. If you need a local Plumber in Killiney give us a call today on 01-2844921.